when you using Iphone for long time, the iphone( no matter iphone 4 or iphone X ) battery problem is more and more serious, either the phone response slows down, or the phone automatically shuts down all the time. 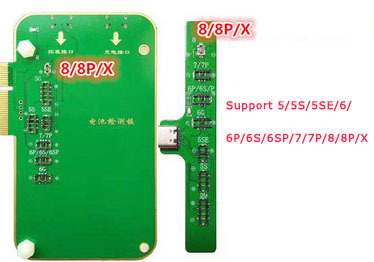 Recently, more and more iphone users says they need to replace the battery, many customers consult, how to make it after changing the battery What does Aisida Green Hat have? JC pro1000S Battery Tester (you can check model 9 on our site) For iPhone 4 4S 5 5S SE 6 6P 6S 6P 7 7P 8 8P X. iphone 5/5S/5SE/6/6P/6S/6SP/7/7P/8/8P/X battery Detection Module work with JC Pro1000S programmer. which function is check Battery Life, Battery Health, Capacity, Discharge Rate, Cycle Count. Note : The iPhone battery detection diagnostic module for JC Pro1000S instrument need work with JC pro1000s machine, can't working alone.